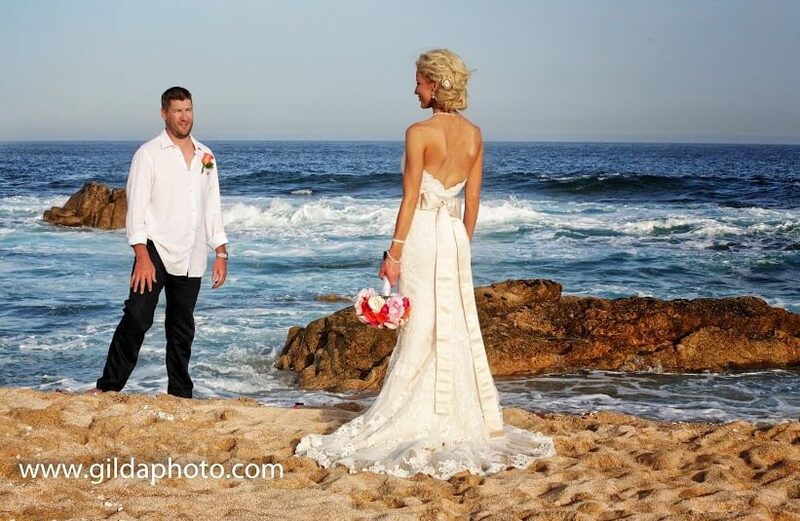 Stunning brides like Kristin make our job look easy. With her gorgeous skin and naturally great hair, it didn’t take much to make Kristin look flawless on her wedding day. We gave this bride a well-defined, dramatic eye and a rich pink lip—enough color for perfect photos. Light foundation and barely there blush completed Kristin’s stylish bridal makeup. For her wedding-day hairstyle, we twisted Kristin’s blond locks into an intricate up-do with lots of volume. The textured look was a great match with all the details of her lace gown. 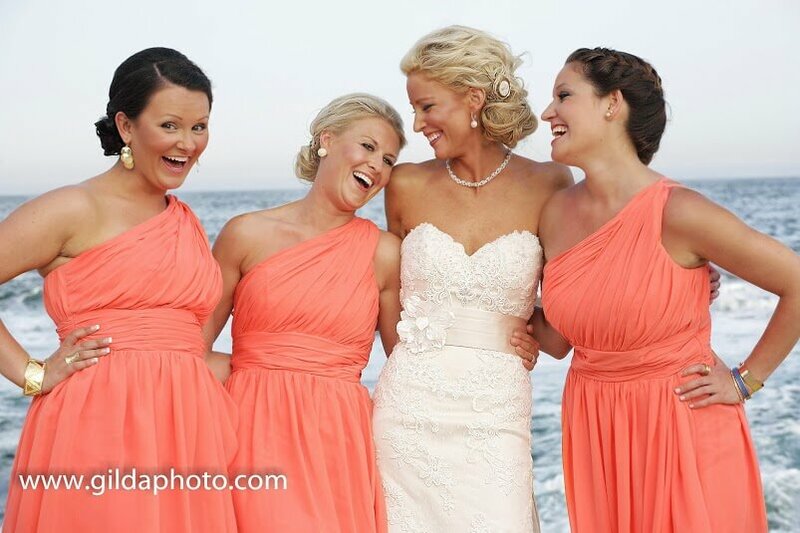 We also styled Kristin’s bridal party with different up-dos that paired with their fun, colorful dresses. A special thanks to photographer Gilda Badilla for the wonderful photos! 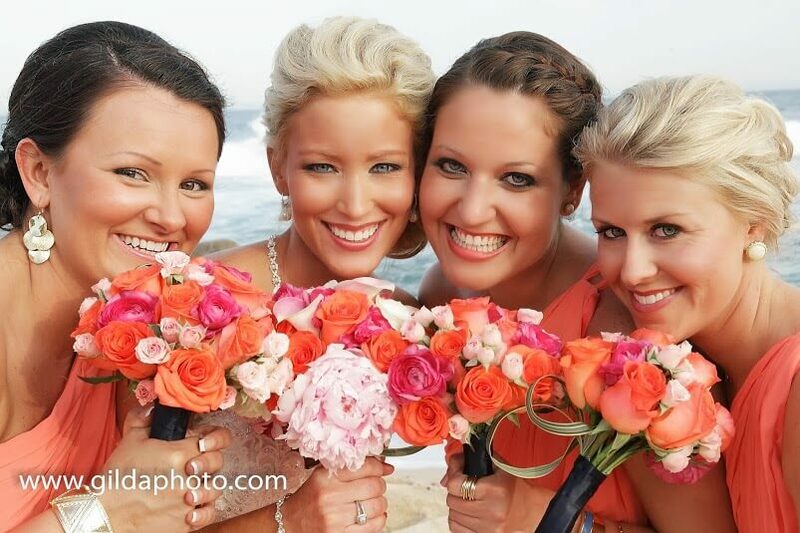 This entry was posted in Cabo Bridal Hair and Makeup and tagged Bridal Hair, Bridal Makeup, bridal party hair, Cabo bridal makeup, Cabo wedding hair, Cabo wedding makeup, Cabo wedding stylist, destination wedding style, Fiesta Americana, Fiesta Americana Cabo, Fiesta Americana wedding, Suzanne Morel, wedding updo. I will immediately take your hands on your rss as I can’t to locate your e-mail subscription link or newsletter service. Do you’ve any? Kindly allow me realize to ensure that I could subscribe.